For 47 years we have been designing luxury flower arrangements for galas, events, and private parties. Now for the first time, we are offering this exquisite collection to the public to send locally or nationwide. What makes these arrangements “luxury”? All the arrangements in the luxury flower collection are specifically designed to be instant show-stoppers. One even has over 100 roses! In addition, all designs come in designer vases that you are guaranteed to reuse. These are not your ordinary arrangements. 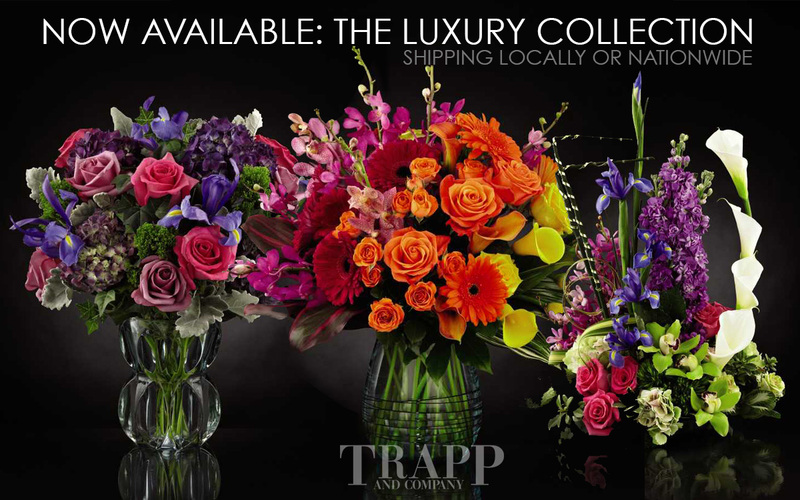 Help us introduce this collection by enjoying 15% off of your locally delivered arrangement through June 2016 with promo code: Trappluxury.